More than 50,000 people have meal in a normal day inside this dining hall and in the weekend the number can go up to 100,000!!! 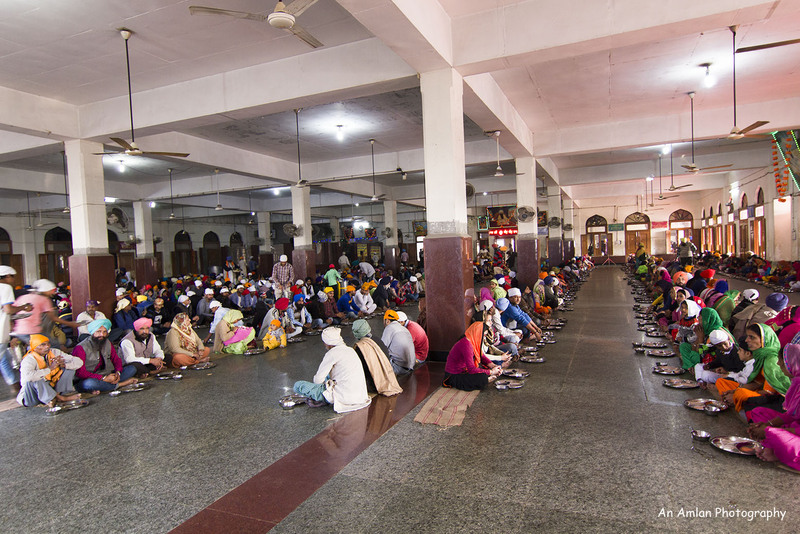 Googling about Langar can give you some dry statistics about this world’s largest dining hall, but the larger than life experience can be achieved only after visiting, volunteering and dining in this institute. When I was a student of class 6, first I heard about it and right from that day, it was in my bucket list. But it took 23 years to visit there. 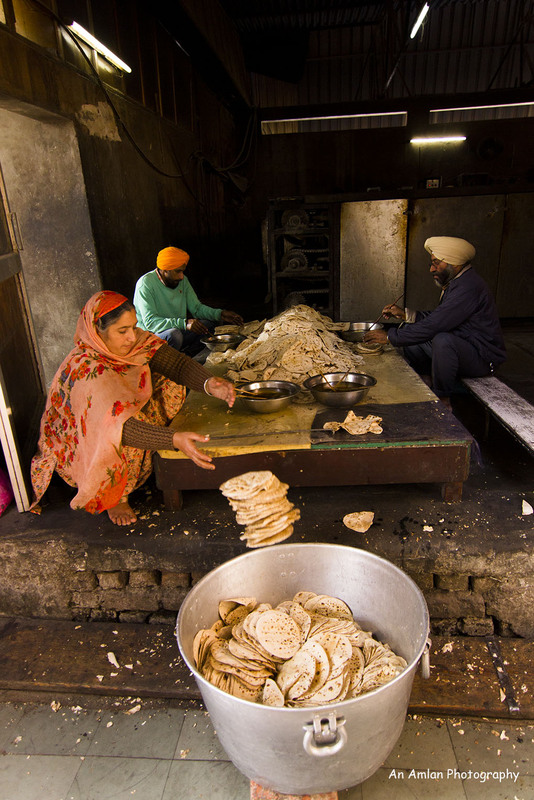 Langar means kitchen. 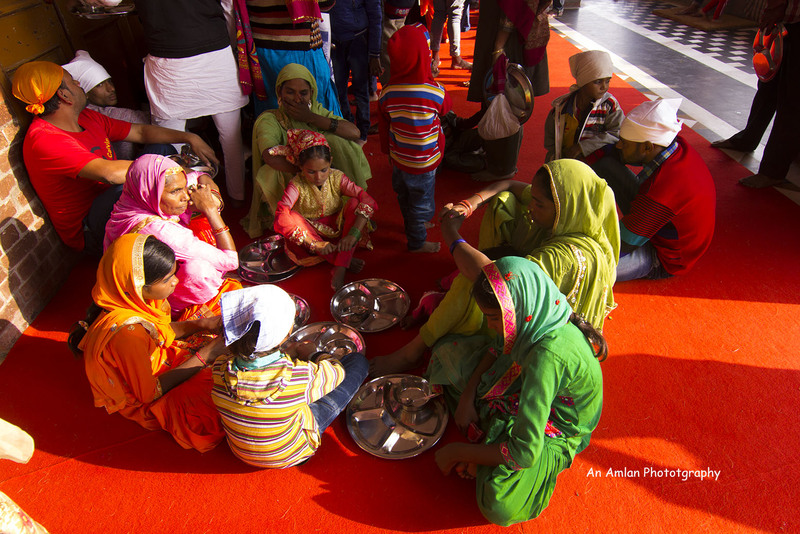 Guru Nanak, the founder of Sikh religion conceptualised the practice to feed people irrespective of all religion and his idea turned into reality in 1481 when Langar was founded. 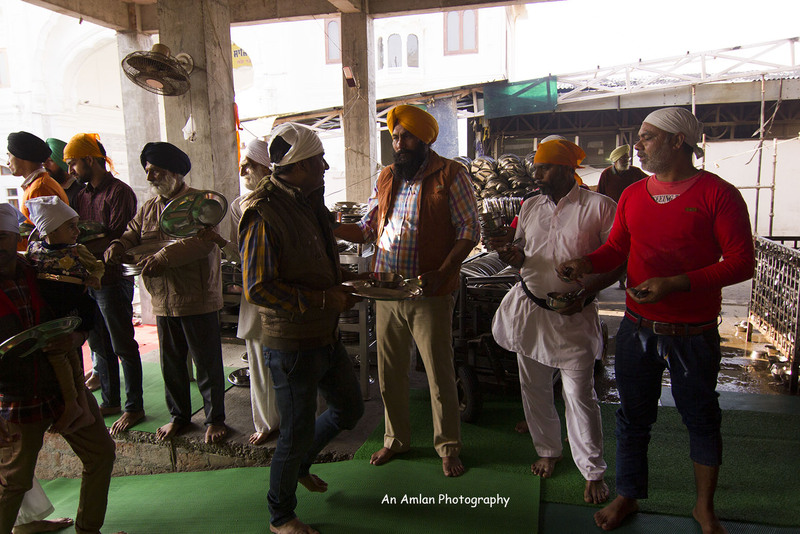 More than 600 years have been passed and lots of water have flown on the rivers of Punjab but Sikhs still follow their father of the religions tradition. 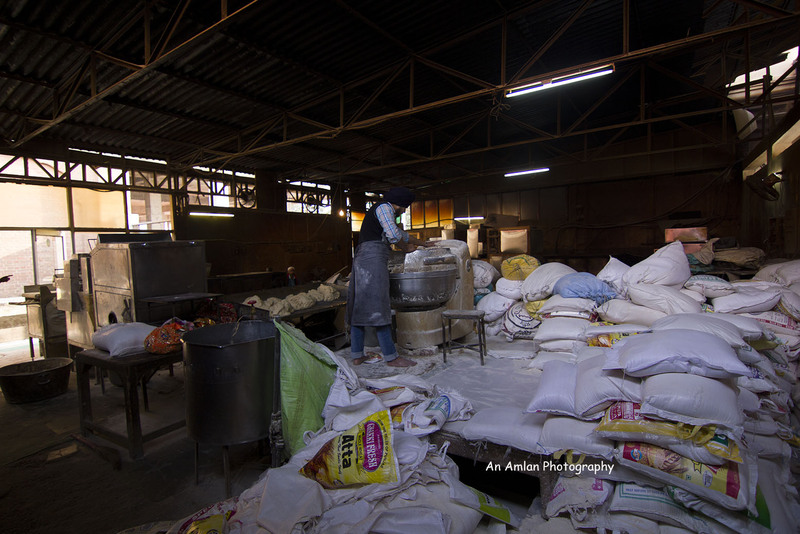 Langar is a part of the Golden Temple complex. It is now a two-storeyed building. People of all religion can give free work to make this a continuous success. When I went there first I got astonished to see the disciplined crowd. Regimentation made everything very systematic. If you wish to have a meal there first you need to change shoes in the entrance, cover their head and queue up. Volunteers give you plates and cutleries. Then there will be another queue to get the chance to start the meal. After a batch ends up the bell will go and you can get inside the dining hall. Now, you need to seat in the mat on the floor. Volunteers will serve you roti (bread). Dal, Kheer (sweet dish prepared by rice and milk) and drinking water. Enjoy the meal after saying “Jo bole so nihal, sat sri akal” and then take your dishes and cutleries to the outside where volunteers will take your used dishes and wash them for the next round. 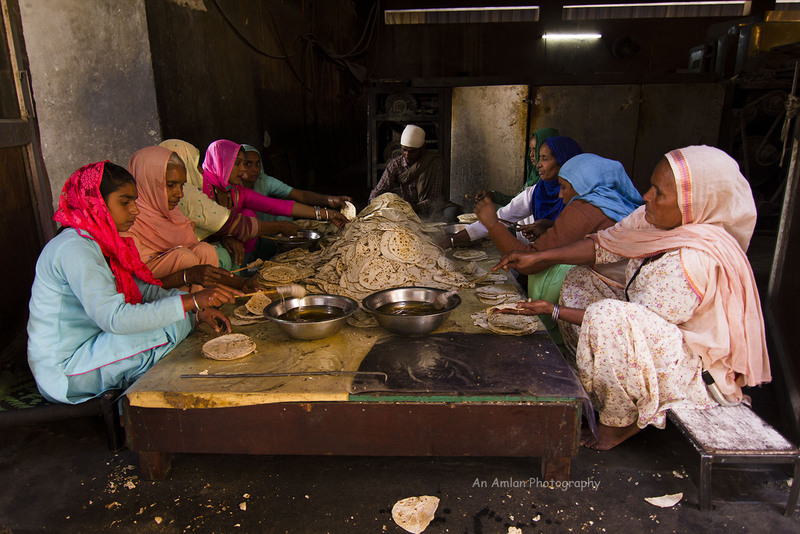 25,000 rotis are made in an hour!!! 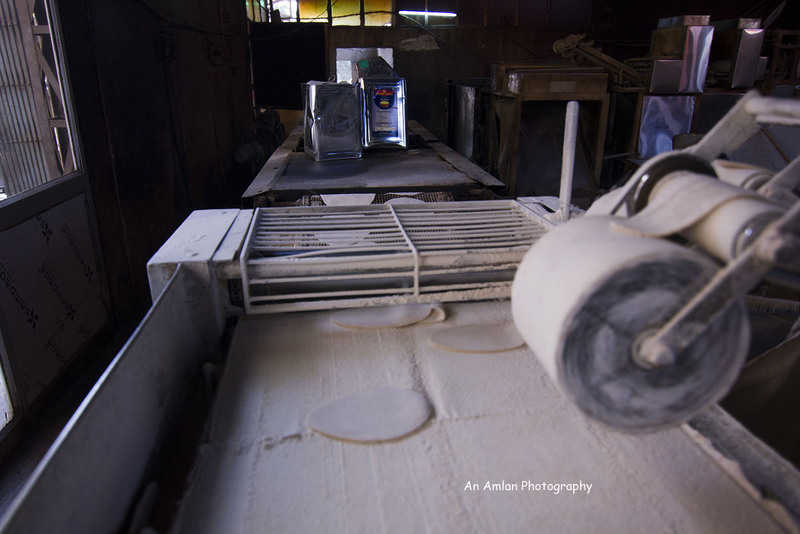 Earlier, the rotis were prepared manually but a Lebanon based devotee donated a roti making machine that churns out the said number of rotis in an hour. 12,000 kilos of flour are required in a day. 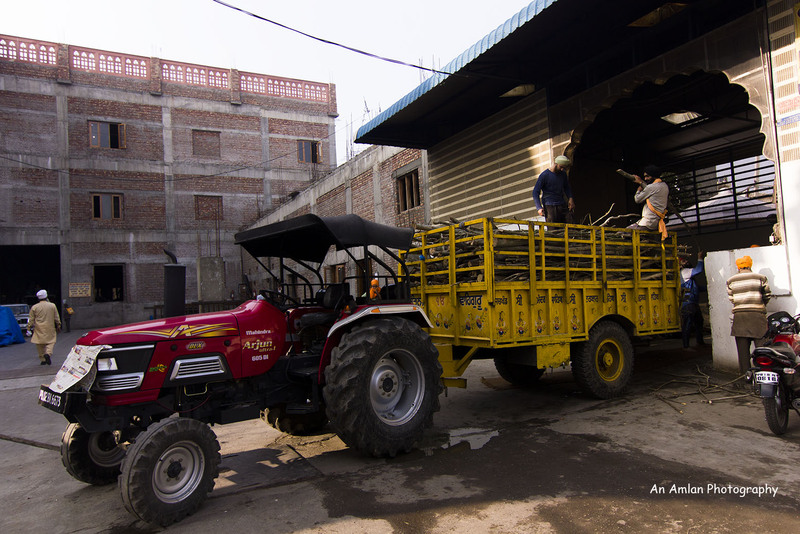 More than 100 cylinders of Gas and 5,000 kilos of firewood are required to cook the food in gigantic cooking vessels.